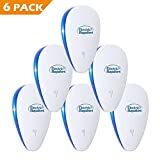 / 4 Killer Methods to Get Rid of German Cockroaches: Which Commercial Poisons Work Best 2017? 4 Killer Methods to Get Rid of German Cockroaches: Which Commercial Poisons Work Best 2017? The German cockroach is one of the most common types of roaches found in homes – and they’re also one of the most troublesome. 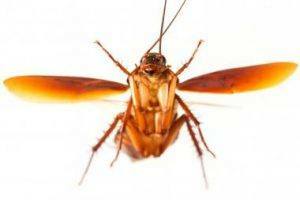 No one wants roaches in their home, but this particular brand of roach can infest a home in a relatively short amount of time. Just one egg casing from a female German roach can contain between 30 and 40 eggs. One female can produce four to six casings in her lifetime, so populations can quickly get out of control if swift action isn’t taken. If you think you have a German roach problem, we’re going to show you the best ways to get rid of these pests, so you can enjoy a roach-free home again. How Big Are German Cockroaches? How Do German Cockroaches Get in Your House? But What About Commercial Poisons? You think your roommate was bad? Try sharing your home with roaches. They leave a mess everywhere they go, they smell, they steal your food, and they sneak around the house at night without you even knowing it. To get rid of these ninja-like insects, you’ll need patience, perseverance, and did we say patience? We’re going to share the best ways to get rid of roaches naturally, and the quickest method to rid your home of these critters. One of the most effective and non-toxic ways to get rid of roaches is with the use of diatomaceous earth, or DE. This natural power-like substance is derived from deposits of diatom fossils. The great thing about DE is that roaches can’t develop immunity to it like they can with other insecticides. DE kills roaches through contact and through ingestion. The powder is abrasive, so it cuts into the roach’s exoskeleton. Once inside, the powder will absorb water from the roach’s body, causing it to dehydrate and die. 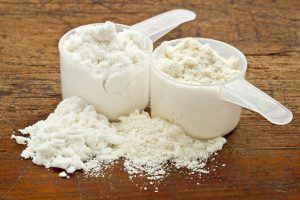 Diatomaceous earth can be sprinkled inside or outside the home, and is safe for use around kids or pets. As an added bonus, this powder will also kill any other insects you may have in your home. The only drawback with DE is that you have to consistently reapply the powder for it to work effectively, and it can take months to get rid of the roaches completely, depending on how bad the infestation is. DE won’t kill roach eggs, either, so you’ll need to continue laying the powder until it kills any new roaches that hatch. While extremely effective, you’ll need patience for this method. You can buy DE online, in home improvement stores and big box shops. Want a method that’s a little more aggressive? Try spraying botanical insecticides to kill roaches. Botanical insecticides are derived from plants, and have fewer harmful side effects than harsh poisons. While gentler than conventional routes, some products can still be toxic. 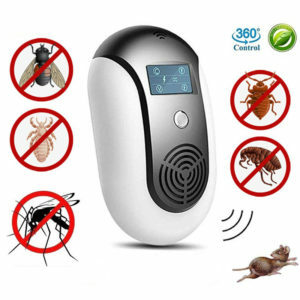 Many of these products are designed specifically to get rid of roaches. Common ingredients include D-Limonene (a terpene found in citrus oils), pyrethrin (insecticidal compounds found in the flowers of the pyrethrum flower), rosemary oil and cinnamon oil. 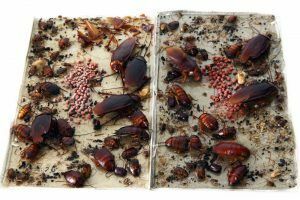 Some botanical insecticides are more effective than others, so do some research to make sure that the ingredients actually work to kill roaches. Maybe you don’t want to spray insecticides or sprinkle DE around your home – that’s fine. If you really want to go the all-natural route, you can use the food chain to your advantage – introduce natural roach predators into your home or yard. One of the simplest predators to introduce into your home is a gecko. Iguanas can work, too. Both of these reptiles feed on roaches, and can help you get your bug problem under control. This is a method that may not be practical for everyone, but it is something to consider. People get cats to get their mice population under control, so this same method can work just as well for roaches. Other natural predators (which may be better suited for outdoor introduction) include: beetles, frogs and toads. Some wasps will target roaches as well, but you probably don’t want to willingly bring wasps near your home. Fun fact: Parasitic wasps will lay eggs inside cockroach egg casings, and the hatchlings eat the roach eggs. Entomopathogenic fungi has also been shown to be deadly to roaches. Their spores attach to their bodies and kill them within weeks. Affected roaches pass the parasite to other roaches to create a domino effect that eventually kills the nest. While this method could be highly effective, we’re not quite sure how you’d get your hands on this fungus and whether or not it’s even safe for use around humans. Roaches are only in your house because you’re giving them something they need: food, water and shelter. Eliminate the food and water, and they’ll have no real reason to stick around. 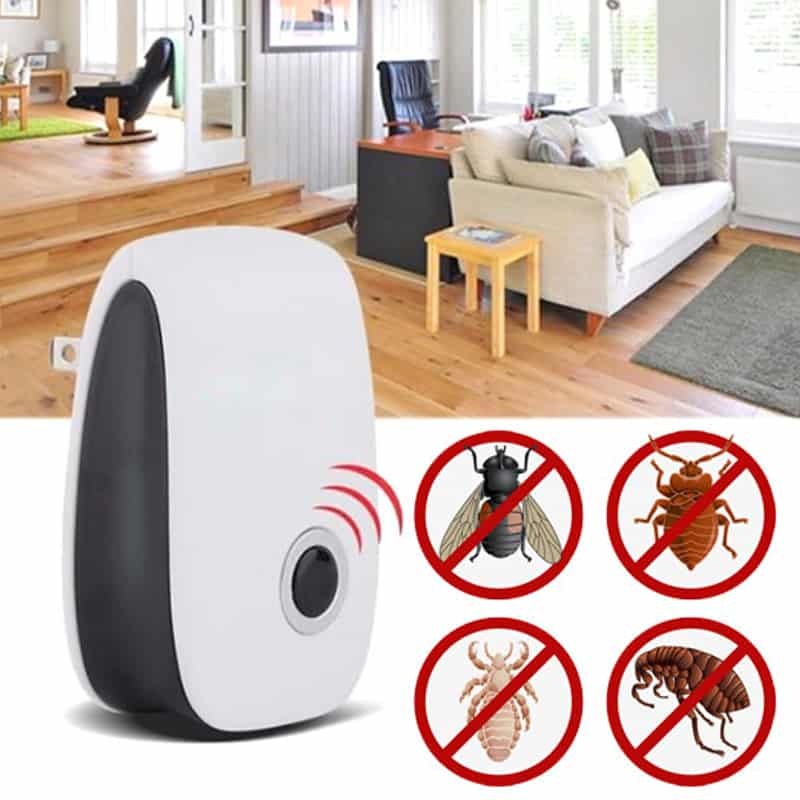 Clean up your home to deter roaches from skittering about. Make sure any and all food in your home is stored in air-tight containers, and throw out your garbage regularly. Sweep, vacuum and mop on a regular basis. On top of cleaning, you also want to make sure that all cracks and gaps in your home are sealed up to block any entryways they may be using to get in and out. What if you want to get rid of roaches fast? Maybe you have a serious infestation, or just can’t stand the thought or sight of these critters anymore. It may be time to hire an exterminator. The quickest way to stop a German roach infestation is to bring in a professional who has the skills and the tools to get the job done. 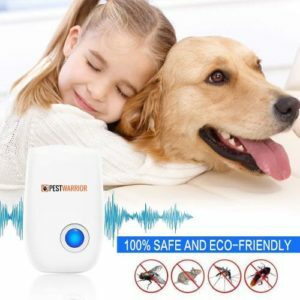 And an exterminator will tackle the problem at its roots by finding the nest and killing any German cockroach eggs that may be in your home. If you’re only dealing with a handful of roaches, you can also get rid of them quickly by using a bug spray, like Raid. Want to know more about the critters that are invading your home? Knowing more about German cockroaches may help you find new and creative ways to get rid of them, or keep them out of your home. German roaches are a small, common cockroach that often invades homes. In fact, these are the most common roaches found in homes, restaurants and hotels. German roaches are typically brown in color, although the brown can be so dark the bug appears black. The characteristic that sets these roaches apart is its markings. German roaches have two dark parallel streaks that run along the top of its head. Baby German roaches are darker in color, but have the same markings. Want a better idea of what these roaches look like? Search for German cockroach pictures to find out (you may regret it). Of all the roach species, German roaches are one of the smallest. On average, these roaches are 0.43” to 0.63” (1.1cm to 1.6cm) in length. Where do German cockroaches live? German roaches can be found all over the world. Interestingly, they do not originate in Germany. In fact, entomologists believe they may have come from Southeast Asia. Like most other roaches, this species has been around for millions of years. While experts aren’t sure exactly how roaches moved from Southeast Asia to Europe and eventually America, there are theories out there. One possible theory is that Marco Polo brought the roaches back with him accidently during the Middle Ages. Polo traveled from his home in Venice, Italy to Asia and stayed in present-day Beijing for 17 years. After that, he spent some time in Persia before going back home. If Polo did bring the roaches back to Europe, they may have migrated to the Americas when Christopher Columbus or other explorers traveled to the new world. Other experts theorize that these roaches came from Africa, which also provides numerous opportunities for these critters to hitchhike a ride on slave ships to the Americas. These bugs, like other roaches, love dark, damp places. What causes German cockroaches to sneak into your home? The same way other roaches and bugs get into your home: cracks and gaps in your walls, windows or foundations. With German cockroaches, it’s also not uncommon to bring them home with you from somewhere else, like the grocery store, a hotel or even a restaurant. Why do they want to come into your home? For the same reason you love being in your home: it has food, water and shelter. If you have kids, they may leave cookie crumbs and other bits of food under their beds, behind the sofa or under the stove, which can also attract roaches. German roaches do have wings, but they really don’t fly. Their cousin, the Asian cockroach, is attracted to light and will actually fly like a moth. However, German roaches can barely fly. These guys prefer to run – and they’re very quick. Roaches are already nightmarish creatures, but the idea of them biting your fingers, toes or anywhere in between is even more frightening. German roaches are omnivorous, which means they eat both meat and plants. There have been accounts of these critters eating human flesh – both of the living and the dead (hungry yet?). While they can bite your flesh, they’re far more likely to nibble at your fingernails or eyelashes, although they will bite toes and hands, too. When German roaches bite, it can irritate the skin. Sometimes, the bites leave lesions and cause swelling. There are some people that have had their bites become infected. If the idea of roaches biting you while you sleep gives you the heebie-jeebies, you can feel safe in knowing that roaches aren’t known to bite living humans. Biting really only becomes a problem in cases of severe infestations where the population is large and food is limited. If there are other food sources available, roaches will go for those first before they try to bite humans. The most serious accounts known of roach bites is on ships. The populations on ships at times became so numerous that the roaches would bit the nails and skin of people on board. Sailors would sometimes wear gloves to keep the roaches from biting their fingers. We all know that roaches of all kinds are pests, but are they harmful? They can be. Roaches have been known to carry disease-carrying bacteria, and they can spread that bacteria by contaminating your food. 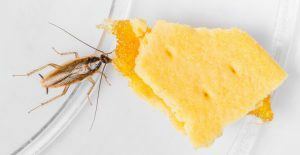 What happens is roaches will regurgitate their digestive fluids and saliva while they eat, which inoculates your food with the bacteria in your gut. Studies have found that roaches have an extensive population of one type of bacteria in their gut, which can cause digestive issues, urinary tract infections and even sepsis in severe cases. 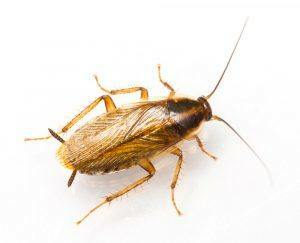 Roaches can also carry Salmonella, which can lead to food poisoning. These pesky bugs also secrete a very unpleasant odor that becomes overwhelming when the infestation is bad. Many people are also allergic to roaches, and they’ve been known to irritate people with asthma. Just like other species of roaches, the German roach will eat just about anything. From meat to cookies and even things we consider inedible, like glue and tape, is on the menu. Roaches can actually live up to 30 days without food, so starving them out can be a challenge. And because they’ll eat just about anything – even strands of hair in the bathroom – many people find that it’s nearly impossible to starve out a roach. But they will dehydrate within a few weeks if they’re denied moisture. We talked about a few effective ways to kill roaches using natural methods and hiring exterminators. But what is it about these methods that actually kills the roaches? Powders, like diatomaceous earth, boric acid and borax, kills roaches from the inside and externally. Roaches breathe through pores on their bodies, known as tracheae. These pores are attached to openings on all segments of the roach’s body. When roaches walk through these powder-like substances, they clog these pores and rip through the exoskeleton. Once it rips through the exoskeleton, the powder absorbs moisture in the roach’s body, causing it to dehydrate to death. Some people also use soap and water to kill roaches. The soap clogs the roach’s pores, causing it to suffocate to death. 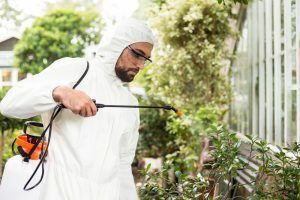 It’s easy to find people talking about natural roach killers and where to buy insecticides, but what are you actually spraying? Which poisons work best? And what do they actually do? Cypermethrin: A synthetic pyrethroid. Natural pyrethrin is an organic compound produced by pyrethrum flowers. This is the most common type of household insecticide, and can also repel insects. They’re generally harmless to humans, but may affect sensitive people. Cypermethrin works by acting like a neurotoxin to insects, and is commonly used in products like Raid. Baygon: Used to treat cracks and crevices, this insecticide contains a cocktail of active ingredients, including transfluthrin, pyrethroids, carbamate propoxur, prallethrin, organophosphorus chlorpyrifos and cyfluthrin. Like other insecticides, Baygon is generally harmless in low doses, but can be harmful to sensitive individuals. These are the two most common active ingredients and types of poisons used by exterminators to treat roach infestations. Exterminators will also use baits to kill roaches. These baits lure in the roaches, and kills them. 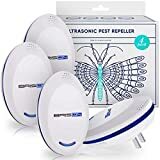 Most products contain active ingredients that are passed onto other roaches in the nest, spreading the poison and killing all of the roaches. German roaches are one of the most common household pests, and they can be incredibly difficult to get rid of if you live in an apartment building or multi-family home. One casing can contain up to 40 eggs, which means populations can quickly grow out of control. 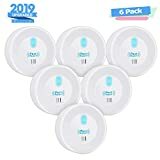 Armed with our tips on how to get rid of German roaches and more information on this species, you can better plan your strategy on how to get rid of the pests invading your home. But if your infestation is serious, you’re only practical option may be to hire a professional exterminator.